Univ Of Minnesota Press, 9780816693214, 256pp. Anglers are simply superior because of their contemplative pastime, according to Izaak Walton. And few who fish would disagree. In fact, the habit of amplifying the sport is documented at least as long ago as 75 A.D., when Plutarch wrote that Mark Antony faked a catch to impress Cleopatra. From Bible verse to Grandpa’s latest whopper, fishing has figured in our spiritual and cultural lore, to say nothing of our cuisine, as far back as we remember, and nowhere is this truer, perhaps, than in the great north woods. A celebration of the sport in the land of 10,000 lakes and beyond, where the fish fry is a near-holy Friday ritual, the running of smelt heralds spring, and a village of ice-fishing huts springs up on every frozen lake, this irresistible book tells the full story from trivia to sacred tradition. 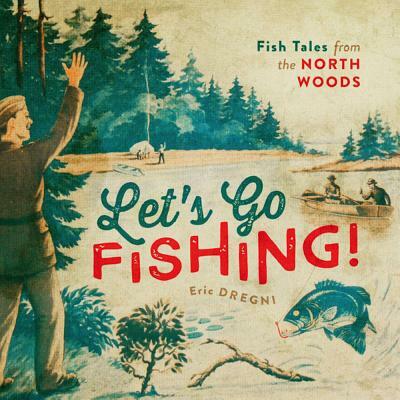 Eric Dregni, who has entertained countless readers with enlightening tales of Midwest marvels, here shows his considerable skills as a raconteur and cultural historian of the fun and the facts of fishing in the Great Lakes region. Fishing contests and taxidermy, lures and earthworms, fishing scenes on beer cans, and the peculiar genre of fishing photographs: no detail is too small, reflection too deep, or bridge too far to escape his eye and ready wit, from gear madness to true grit, angling heroics to solitary pleasures, small-town festivals to sport-fishing meccas. And he has the images to prove it. Lavishly illustrated with postcards, advertisements, historical prints, and tourist snapshots, this book is an always fascinating, occasionally hilarious, and often oddly informative compendium of fishing lore destined to reel in the uninitiated and to occupy the aficionado in those long, empty hours between seasons. Eric Dregni is associate professor of English and journalism at Concordia University in St. Paul. He is the author of more than a dozen books including Midwest Marvels, In Cod We Trust, By the Waters of Minnetonka, and Never Trust a Thin Cook, all published by Minnesota.